The chair of the D.C. Council’s Finance and Revenue Committee is apologizing in response to accusations he used his elected, public position for private gain. 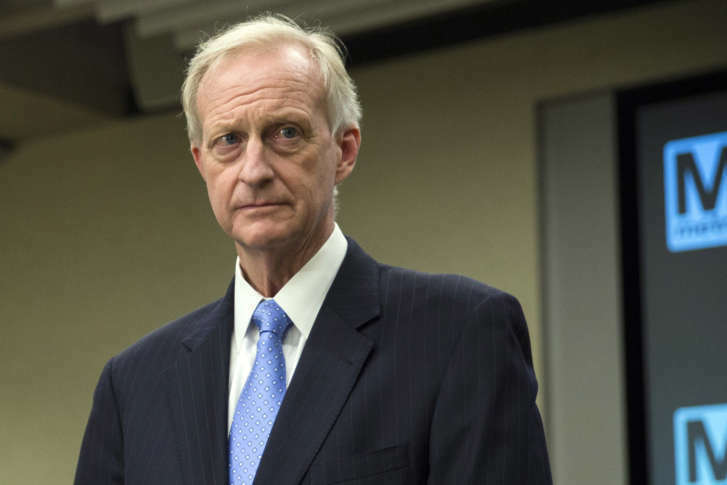 “In retrospect, I would have done a lot of things differently; I certainly made some major mistakes,” D.C. Council member Jack Evans, D-Ward 2, told reporters shortly after learning there would be a resolution introduced to reprimand him. “I want to take this opportunity to apologize to my constituents, to the residents of the District of Columbia and to my colleagues,” Evans said. He did not respond to questions. “Council member Jack Evans violated the council’s code of conduct when he used his office to email business proposals to potential employers. I will therefore be introducing a resolution later today to reprimand Mr. Evans for his actions,” Mendelson said. The proposed reprimand resolution was filed with the council secretary Tuesday afternoon. The reprimand also specifies how it does not pertain to issues that have the potential to lead to “other sanctions” currently under investigation by the Board of Ethics and Government Accountability and the U.S. attorney’s office. “This reprimand will send a clear message that Mr. Evans’ actions are not only unacceptable but are inconsistent with the council’s ethical standards,” Mendelson said. The resolution to reprimand Evans isn’t expected to be before the full council for at least another couple weeks.